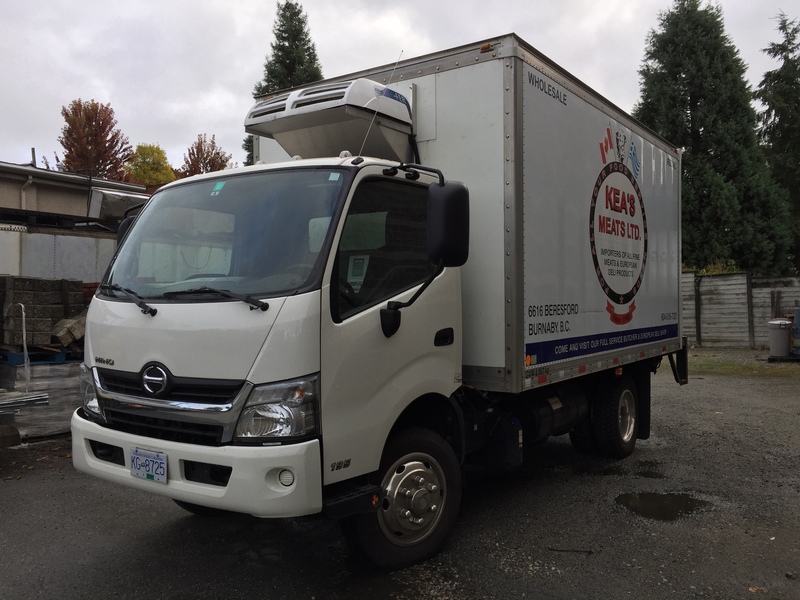 This is a Reefer Van for Keas Meats in Burnaby, British Columbia, used for transporting fresh delicious meats & other deli products from their location in Highgate. 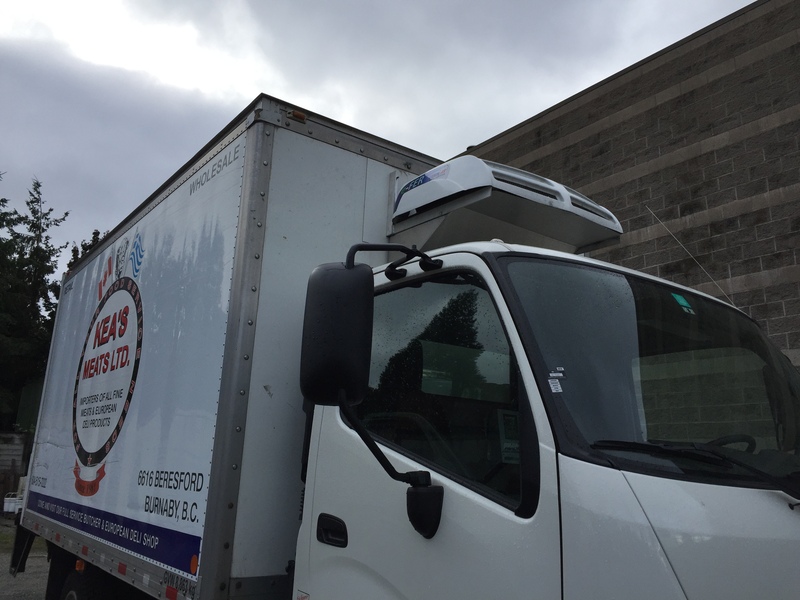 This van was equipped with Volta Air Technology’s VAR300, a front-mounted, powerful all-electric reefer unit designed to cool larger commercial trucks. This retrofit is similar to one done on an Isuzu 1 Ton truck, also equipped with Volta Air. According to the family, they have 5 hours worth of deliveries, and their stops vary between 5-10 stops per day. For each delivery, the driver stays for about 10-15 minutes, depending on how busy the location is. 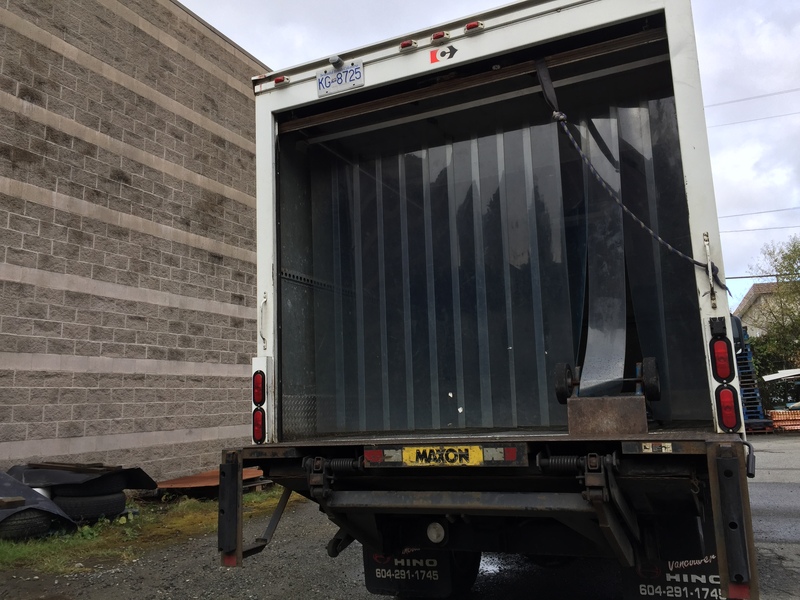 The inside of the cargo is insulated, allowing the truck to reach -10 degrees Celsius for every run. Keas Meats also deliver meats to other local Greek restaurants. They supply quality products to restaurants all over the Lower Mainland, such as Vassilis in South Burnaby and Kisamos Taverna in Steveston. The reefer system is from Volta Air Technology. 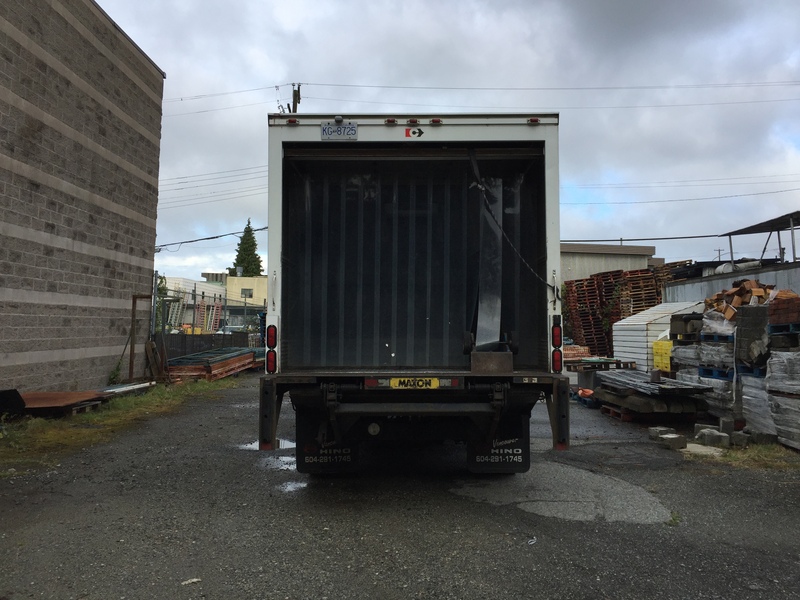 They are Vancouver’s manufacturer of transport refrigeration and air conditioning units that are full electric, no-idle systems. With over 50 years of HVAC experience, they have designed and developed an all-electric refrigeration unit that can be easily integrated into most vehicles’ electrical system for power. The unit used in this case was the VAR150TBLi which can provide cooling “down” to -10 °C (16° F) in a compartment from 3-5m3 (110-200ft3). For more information about their reefer units, please contact Volta Air at +1-855-210-3839. If you are a business owner in BC, you can also contact their dealer at Cool it at their Surrey location, where the majority of installations are done in British Columbia. 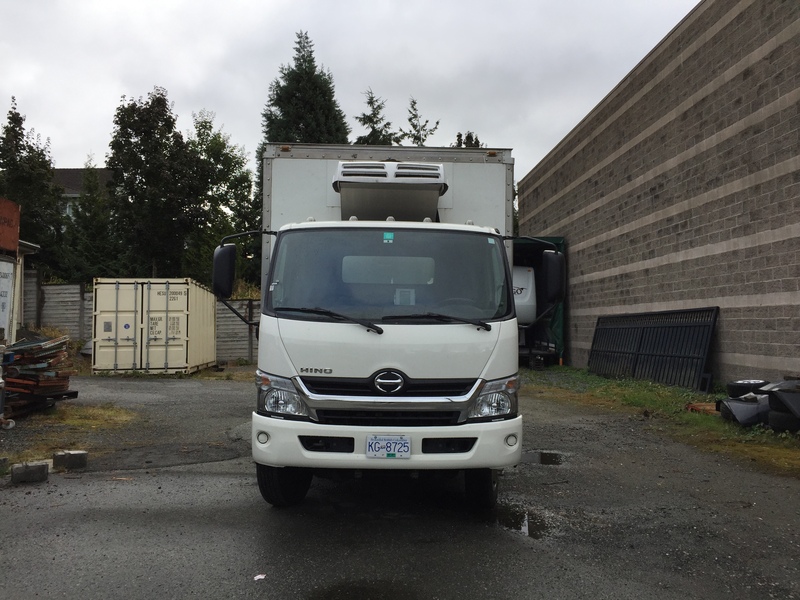 This entry was posted in Hino and tagged Burnaby, Catering, Cold Delivery, Home Delivery, Richmond, Trucks, Volta Air. Bookmark the permalink.